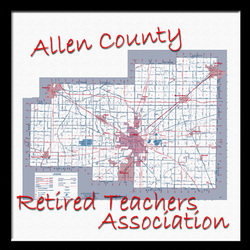 The Allen County Chapter of ORTA had its beginnings with a group of Lima retired teachers that organized on September 28, 1948. The next year the group was expanded to include the whole county and was organized on November 12, 1949.Community service projects that the chapter has participated in from 1974 include providing a book study program at the former Lima State Hospital, sponsoring Defensive Driving programs for more than 20 years and contributing memorial books to the public library for deceased members. Individual members have been active in many community services as volunteers for Tax Aide, Red Cross and Literary Council.